Practical insights and guided exercises to experience the benefits of optimal sleep. We're in the midst of an epidemic of sleeplessness, with half of adults struggling with insomnia and a host of health risks associated with inadequate rest and sleep. Yet we're all aware of the benefits of good sleep, from vibrant health to better productivity to happier relationships, and more. 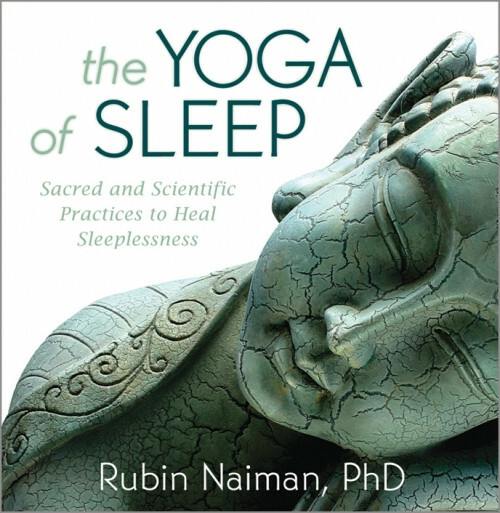 On The Yoga of Sleep, Dr. Rubin Naiman integrates effective sleep science with time-honored sacred perspectives to help us reclaim the full potential of our nightly journeys.This practical two-CD course begins with a discussion of “the lost art of sleep,” which examines common disorders and how to promote natural, healthy sleep. Dr. Andrew Weil has called his colleague Dr. Naiman a true pioneer in integrative sleep and dream medicine. On The Yoga of Sleep, Dr. Naiman invites us to open the “gracious gift” each night presents, and return to the deep serenity that lives at our core. I am learning loads and the application on relistening is quite easy. The hypnagogic parts are great.